In 2013, SpaceX CEO and big thinker Elon Musk drew up plans for a high-speed ground transportation technology that would get people from Los Angeles to San Francisco in 35 minutes. Since then, SpaceX has stayed back and watched private companies pick up the idea. Now, it's stepping in to help encourage development by building a test track at its Hawthorne, Calif. headquarters. The idea was originally born out of Musk's disappointment at California's inability to establish a cost-effective, efficient high-speed rail. "How could it be that the home of Silicon Valley and JPL -- doing incredible things like indexing all the world's knowledge and putting rovers on Mars -- would build a bullet train that is both one of the most expensive per mile and one of the slowest in the world?" he wrote in a white paper in August 2013. So he dreamed up his own solution: the Hyperloop, a fifth mode of transportation to add to planes, trains, cars and boats. The basic components would be a 350-mile-long steel tube encapsulating a low air pressure environment, and "people-sized" pods that get blasted through it at 760 mph, riding on a cushion of air and propelled by magnetic linear induction motors along the length of the tube. Musk posted his designs online and let private enterprise do its worst. Last month, a company called Hyperloop Transportation Technologies Inc. (not affiliated with Musk or SpaceX) signed a deal with landowners in central California to build the world's first Hyperloop test track. And now, much like the linear accelerators he designed to push his theoretical people pods, Musk is planning to encourage forward movement on more Hyperloop designs. To that end, SpaceX will hold a competition for companies, individuals and students to develop a functional pod prototype. 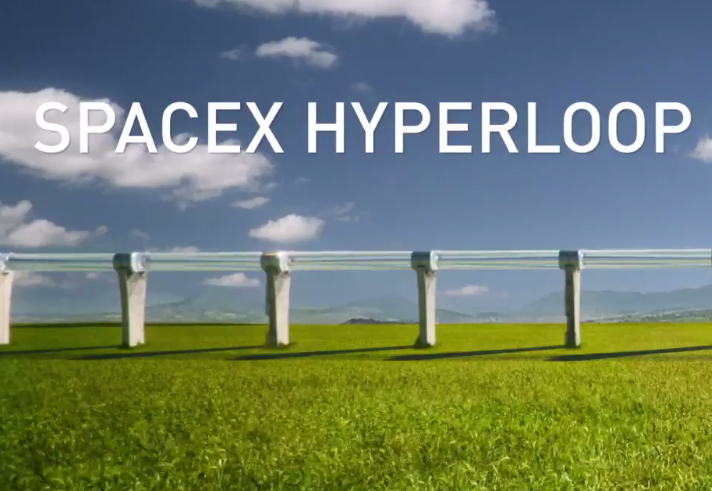 In the meantime, SpaceX will be constructing a scaled-down test track. It will be a mile long and four to five feet in diameter, which is a couple feet smaller than the one he sketched out in 2012, but still large enough to accommodate "human-scale pods" for the competition. The event -- full details of which will be released in August -- is slated for sometime in June 2016.